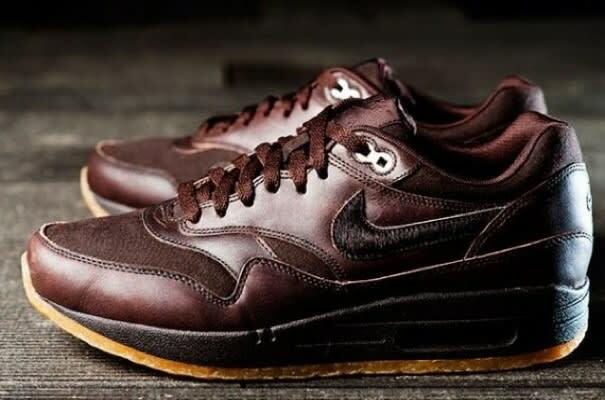 Rich dark brown leather atop a spongy crepe sole makes for a rather indulgent Air Max 1. Passing on 'em is like saying, "No thanks" to a magic brownie. Not happening.